Surge in NSW throughput but prices hold. Home > Sheep > Surge in NSW throughput but prices hold. 05 Apr Surge in NSW throughput but prices hold. Anecdotal reports of the lack of rain boosting throughput levels along the East coast, particularly in NSW, are being supported by the yarding numbers this week with a spike in both sheep and lamb throughput noted. Despite the higher offering, prices have remained fairly stable with the Eastern States Trade Lamb Indicator (ESTLI) only 3¢ lower at 612¢/kg cwt and National Mutton managing to gain 2.6% to close at 437¢. Figure 1 highlights the combined sheep and lamb throughput pattern for NSW with the jump in yarding levels on the week quite evident, coming in at 190,195 head – 54% higher than this time last season and 89% above the seasonal five-year average pattern. The high NSW yarding of lamb and sheep is a result of the lack of rain to much of the Western regions of the state. February rainfall deciles from the Bureau of Meteorology show much of the state suffering from below average to very much below average rainfall conditions. Figure 2 and the animation of daily rainfall levels during March, emphasize the dry start to Autumn. Elevated NSW throughput numbers for lamb and sheep have underpinned higher East coast figures on the week, with a 41% jump to over 303,000 head – figure 3. Indeed, the combined East coast lamb and sheep yarding is now sitting 54% higher than the average seasonal level for this time of the year according to the data over last five years. Despite the additional supply at the sale yard, lamb prices across the Eastern states are holding up reasonably well. 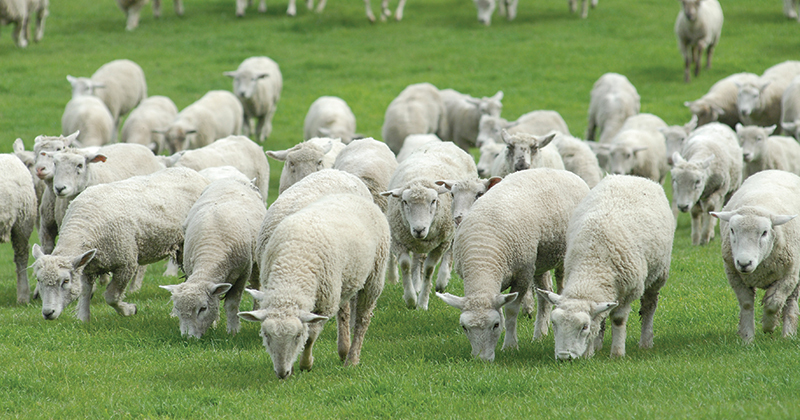 Restocker lambs are back above 600¢ in Victoria (625¢), NSW (637¢) and South Australia (600¢) with Trade and Heavy Lambs across these three states mostly unchanged on the week. Victorian mutton rebounded over 6% to see it back above 450¢, while SA mutton took a bit of a dive, down 9% to 365¢. In the West Trade Lambs went sideways, closing above 630¢ while WA Mutton bounced over 9% to get back above 410¢. There isn’t much rain on the horizon for most of the nation, although the northern tropics will get some into next week, but it’s unlikely to shake out further sheep and lamb supply as the Easter break will cause some disruption to sale yard flows. It’s probably fair to say producers with concerns about the recent lack of rain and access to pasture have brought forward their supply, adding to this weeks elevated throughput. The prospect of tighter supply in the weeks following the return post Easter, should lend some support to prices, especially if we start to get some Autumn rain.